James is a Certified Management Consultant (CMC) with a can-do approach to business. James is passionate about business strategy, and his experience and expertise in working with large and small organizations in a variety of industries has developed his keen understanding of how to analyze organizations, diagnose challenges, and uncover the blind spots in all aspects of your business that may be hindering optimum performance. Taking a whole-systems approach, James leads teams to design, deliver, and implement business strategies that streamline processes, capture value, improve operational efficiency and effectiveness, and provide distinct competitive advantages for our clients. James is also a Certified Customer Experience Professional (CCXP), and a Certified Sales Professional (CSP) and brings an innovative and creative customer first approach to working with our clients. Using a design perspective, he collaborates with clients to develop and implement strategies to enhance customer and employee experiences to improve sales, service and business development. His career has been well balanced among management consulting, strategic planning, marketing strategy, project management, B2B and B2C sales, and business development. Living by the mantra of well done is better than well said, James emphasizes the successful implementation of meaningful initiatives that make a positive and sustainable difference in the lives of business owners, their employees, and their customers. James holds a Masters in Business Administration (Management Consulting) and a Bachelor of Commerce (Entrepreneurial Management) from Royal Roads University, and a Bachelor of Business Administration from the University of Winnipeg. James resides in Kelowna and loves all that the Okanagan has to offer. He gives back to his community by mentoring business students and entrepreneurs at UBCO, Okanagan College, Women’s Enterprise Centre, Futurpreneur Canada, and Salmon Arm Economic Development Society. 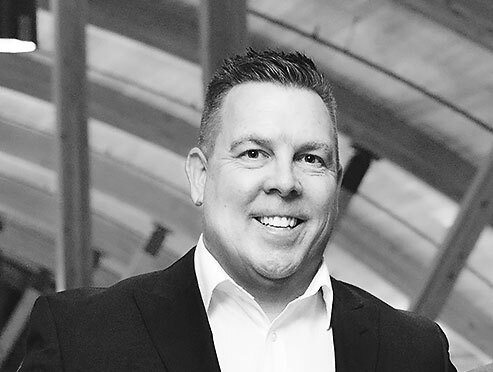 James strongly believes in lifelong learning and has recently completed a Graduate Certificate in Organization Design and Development from Royal Roads University.